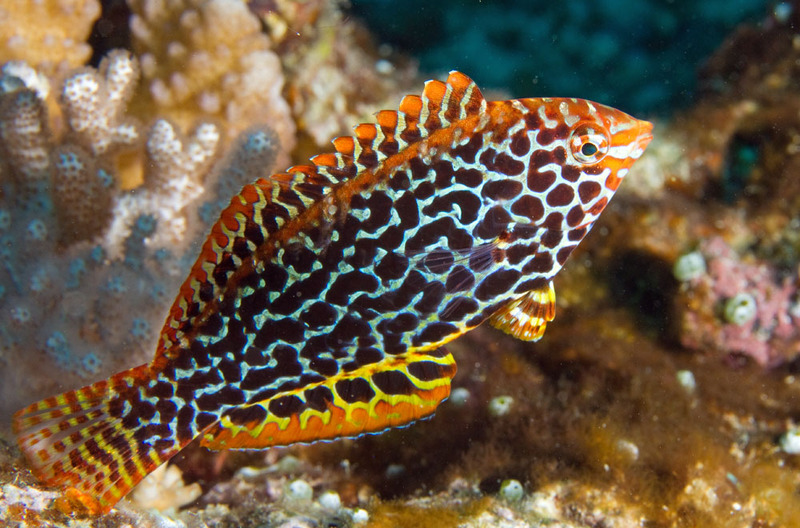 The Leopard Wrasse is a hard wrasse to keep; they usually last for a number of weeks and then die. Most will drive into the sand and never come out, or when they do, they don’t eat. Because need to hide in the sand, you’ll need to have sand in the tank if they are to have any chance of survival. These fish should really not be kept except by an expert with a well-established reef tank.